Classic and timeless, such is the case with our Bisou customisation. 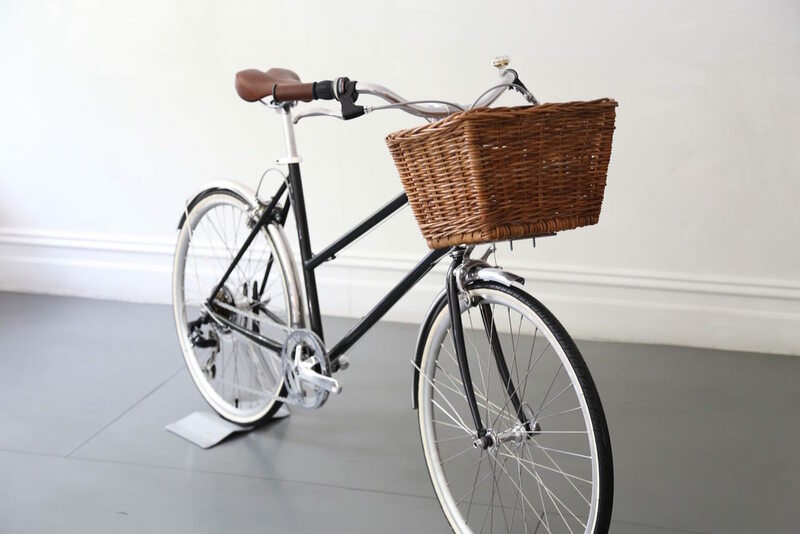 This simple and stylish look is easily achieved with the popular set up of our silver fenders and a front wicker basket. The understated Gold Diamond bell acts as an accent and has a happy and gentle ringing sound. A Double-leg Kickstand can be a great additional option for riders who want to load the front basket with heavier items.